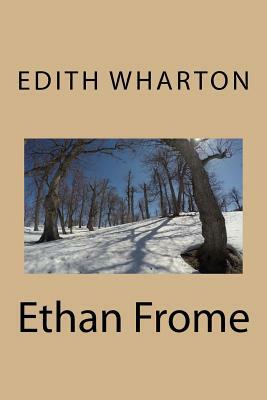 Ethan Frome Edith Wharton however, the post-master would hand him an envelope addressed to Mrs. Zenobia-or Mrs. Zeena-Frome, and usually bearing conspicuously in the upper left-hand corner the address of some manufacturer of patent medicine and the name of his specific. These documents my neighbour would also pocket without a glance, as if too much used to them to wonder at their number and variety, and would then turn away with a silent nod to the post-master. Every one in Starkfield knew him and gave him a greeting tempered to his own grave mien; but his taciturnity was respected and it was only on rare occasions that one of the older men of the place detained him for a word. When this happened he would listen quietly, his blue eyes on the speaker's face, and answer in so low a tone that his words never reached me; then he would climb stiffly into his buggy, gather up the reins in his left hand and drive slowly away in the direction of his farm.